With GDPR on the horizon, Rackspace CTO tells us why cloud flexibility is vital. As businesses move more of their operations to the cloud, the need to ensure that your company has the right technology model is more important than ever. 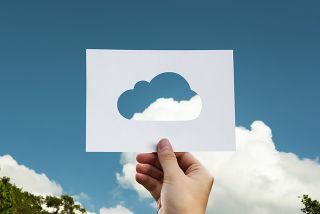 Balancing the advantages of public versus private cloud is an issue troubling many a CIO or CTO, however a number of cloud providers are increasingly offering a more flexible solution. ITProPortal spoke to Rackspace EMEA CTO Lee James at the recent Cloud Expo Europe 2018 event in London, where he highlighted just how important this freedom of choice can be for customers. With GDPR just over a month away from coming into force, the need for companies to be aware and in control of their data is also key, and James highlighted that Rackspace is looking to support all its customers ensure they are ready for the new legislation. "We're not saying don't panic - just believe in what you do today, and let's look to enhance that, and ensure you are GDPR-ready,” he says. Rackspace announced at the show that it was launching a managed security and compliance assistance service for Google Cloud. This means that with GDPR edging closer, Rackspace can further assist customers on their journey to GDPR compliance and help keep their data secure. "(GDPR) is such a big change - finding where you are on this journey is absolutely critical,” James added, “It’s not a tool that we deploy - but look at how you operate today - we find that GDPR is a process conversation as much as a data conversation." Going forward, the UK remains a major market for Rackspace, James adds, with the company now employing around 1,200 staff across the country, and the EMEA region seeing double-digit growth last year. 2018 sees Rackspace celebrate its 20th anniversary, and the company is looking for even more growth and expansion to come.